In this post, I’ll take you through different cardio workouts planned to assist you to lose weight, even when you have a bad knee. But first, the term “Bad knees” is way too broad. However, with bad knees, you should work your knees without jarring them to reduce pain and to make them stronger. Appropriate workouts for your bad knees should incorporate non-plyometric exercises such as sitting back in the squat and avoiding the plyometric exercises such as jumping. Therefore, if you are suffering from a specific condition or injury, you should know that not all the exercises we described will appropriate. Therefore, listen to your body’s reaction and follow your doctor’s recommendations, if are under some for that condition. Walking is an awesome low-impact cardio that will reduce your knee pain. Unlike most bad pain sufferers who take up activity avoidance, you adopt different aerobic exercises such as walking. Such exercises are recommended as they will improve your knee’s muscle quality and fight sarcopenia. Luckily, walking and light running with the right footwear and cushioned shoes, is a non-pharmacologic therapy, and thus you won’t need to take medications. Notably, walking has been wide studies and approved for the disabled and elderly population. Further, taking long-term walking plans can largely improve your knee pain and body functioning and slows physical function declining, also among the disabled people. According to a recent study, increased mobility such as walking in the aerobic treatment is significantly correlated with better ankle and knee angular velocities. 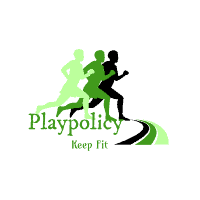 Also, adhering to physical activity plans improves physical function and general mobility. Walking increases your heart rate and would be appropriate during bad weather as you can do it indoors. However, avoid walking on just one place for an extended period since it can strain your knees: mix up the steps for best results. While walking, make sure you keep your upper body nice and tall while your shoulders should be back and down and pull your abs towards your spine to lose the most amount of calories possible. Like walking and stationary bicycles, elliptical trainers are considered low impact exercises because they produce circular motion. The elliptical trainers mimic the cross-country skiing movements, and thus you’ll exercise through pedal resistance. Therefore, increasing the pedal resistance will enable your muscles to work harder and enhancing the aerobic exercise. Interestingly, with the elliptical trainer – unlike the treadmill – your feet will not leave the machine pedals, and thus there is a reduced possibility of injuring the bad knees. Swimming with your bad knee will be effective in losing weight. It’ll assist in improving your flexibility and strengthening your muscles and bones. Compared to other cardio exercises, swimming will have minimal stress on the bad knees. The buoyancy force will act on your body and hence reduce the tension on the knees and your joints. Further, due to the reduced pain, you’ll find yourself working out longer in the water compared to other cardio training.